As Admiral Ackbar (and later, Dr. Sheldon Cooper) so eloquently put it: it’s a trap! We fell hook, line and sinker into the bait that Vegas laid for us, and Portland not only lost a very winnable game, but they failed to cover a supremely generous 6-point spread. Life lesson #341 from Kyle Cash: if it looks too good to be true, it probably is. With all due respect to the Warriors and the Raptors, I’m sick of thinking about them. The only Warriors content I need right now is Steph’s skepticism of NASA’s 1969 moon landing. I’m here for that. Instead, let’s pivot to ESPN’s opening act for the 1-seed vs. 1-seed showdown by checking out the Thunder-Pelicans game. Westbrook’s visiting Thunder squad is currently a 2-point favorite over the Brow and Co. with the total set to a whopping 232 points. Ready or not – here Russ comes. -1.0 Win Shares this year. The Hawks would literally be one game better without him. Don’t watch any Mavericks games, Hawks fans). Maybe Russ should just let Alex Abrines shoot his 3s for him. Or Jerami Grant. Or Hamidou Diallo. Or…anyone else. Without a shooter’s touch, Russ and his teammates are getting it done on the defensive end, leading the league in defensive rating despite playing at the league’s 6th fastest pace. They own the Western Conference’s best net rating, but it’s most likely been bolstered by their 29th ranked Strength of Schedule to date. To take down a versatile Pelican’s squad, OKC is going to have to rely more on it’s offensive potential than it’s defensive identity. New Orleans likes to turn their games into track meets, and with the World’s Best Endurance Athlete manning the point for the Thunder, I like their chances to ride Russ’ pony express right to the top. The likelihood of the New Orleans Pelicans retaining the services of Anthony Davis after this season are inversely proportionate to my anger at his eventual landing spot. The more it looks like he is leaving, the more pissed I get that he is eventually going to end up in Boston or Los Angeles. I invested more time and energy into the 76ers rebuild than I did towards my undergraduate degree, and I refuse to see it go up in flames at the hands of a Boston super team. Best case scenario: he goes to the Lakers or the Celtics and falls prey to his laundry list of nagging injuries – but I don’t want that. I am an NBA fan first and foremost, and he’s too much fun to watch. Worst case scenario: the Sixers and I spend the next five years getting the door slammed in our faces every spring by the Celtics’ juggernaut followed by Ben Simmons fleeing to the Lakers to live with his new wife, Kendall Jenner. Excuse me while I go jump off of my apartment building at the thought of that. Until that theoretical day, New Orleans has to do everything it can to win immediately, and tonight is the perfect night to get back on the horse. After losing to the Maine Red Claws on Monday night, the Pelicans should be out for blood in a national television bounce-back game. 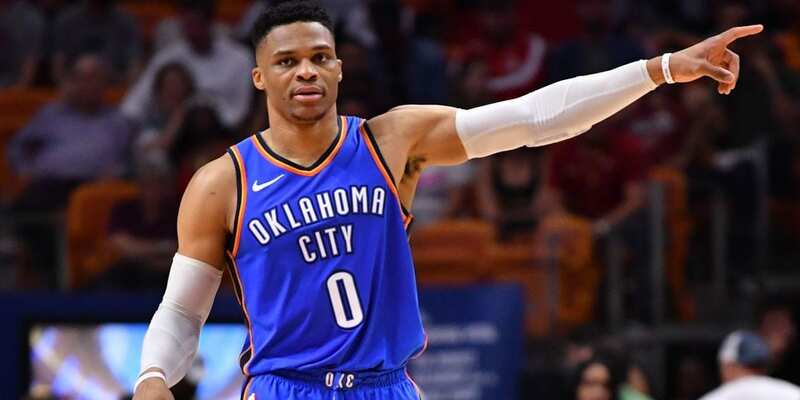 Unfortunately, there’s no physical way to outplay Russell Westbrook, and New Orleans is going to need to find a way to outscore the Thunder attack. They have the tools to do so – Julius Randle is a one-man wrecking ball, Jrue Holiday is having a career year and E’Twaun Moore might be better at basketball than his goofy name implies. Most importantly, Anthony Davis is NBA’s Chernobyl; he’s an unstable man-made experiment that could, at any time, erupt and ruin the lives of hundreds. With a high-scoring, fast-paced game at hand, that night could be tonight. With their respective talents, you would think that Anthony Davis and Russell Westbrook would have had more epic showdowns over the years. Most NBA fans remember Davis’ double-clutch 3-pointer at the buzzer that, by season’s end, was the deciding game in their two-man playoff race, but their head-to-head numbers don’t pop off of the page. With both teams well-rested, running on all cylinders, and thrust into the national spotlight with a high over-under, this game has all of the makings of an NBA Hardwoods Classic. In fact, I can guarantee that this will be a top-3 game of the year. Want to know how I know? Because I’m going to see a play tonight at 8 o’clock as part of a Christmas gift for my wife. Settle down in your comfy recliner, pour some Bailey’s in your hot chocolate, and get ready for the most entertaining game of the year. Think of me as you indulge, and think of Russell Westbrook’s indomitable will to win when you place your bets on the Thunder to win on a buzzer beater in double overtime. Woe is me.